It has been a while since I last had a gourmet burger! 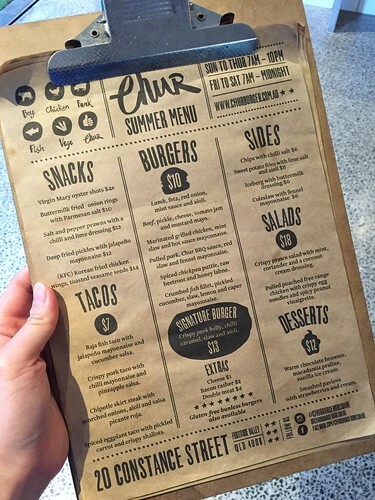 Together with MXM, we made our way to Chur Burger in the Valley. Thankfully, street parking was available and it was only a short distance walking into the burger joint. The place is casual looking and we made our order at the counter. 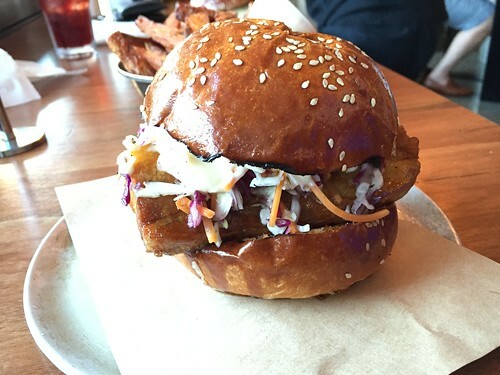 Immediately, I had my eye on their signature burger while MXM had the pulled pork burger. 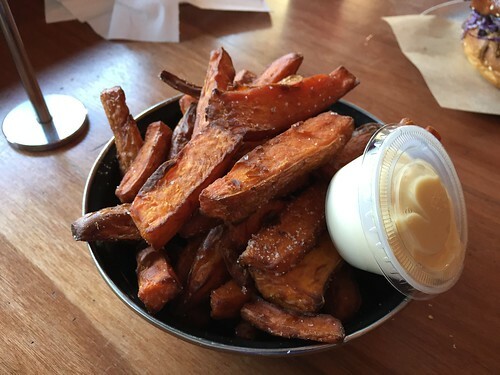 As for the sides, we had the sweet potato fries with aioli. The chips with chilli salt does sound tempting as well! Both of us opted for non-alcoholic drinks. 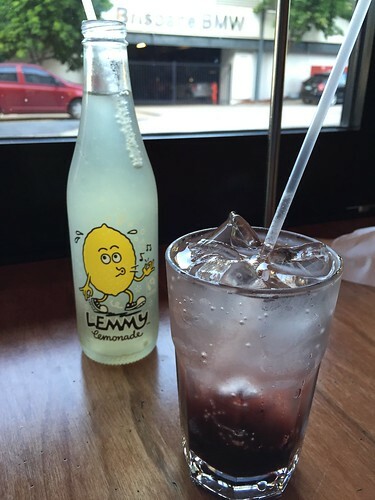 The Lemmy lemonade succeed in soothing my thirst on that hot day while MXM's raspberry soda was refreshing, I guess. After my second bite, I did feel guilty and I removed the crispy skin and the fat of the pork belly. The sweet potato fries were quite moreish and certainly a good side dish.